or as individual items. Enquiries relating to these parts will still be answered. These are replicas of the originals. VT1100 1987-96, GL1200A 1985-87, GL1500 1989-91. CB550K/F 1974-77, CBX550 1983, CB650, CB750K 1970-78. XLX250RE 1984, XL350R 1984/85, XR350R 1983/84. 50 - KA3 - 20...$29.00...fits ; CR125RE-RG 1984-86. 50 - KCZ - 20...$25.00...fits,   XR250R 1996-04. XR200R 1984/85, XL250R1985-87, XR250R 1983/84. 50 - 199 - 20...$29.00...fits ; CB650 1979-82. CJ360T, CB550K/F 1974-77, CB750K/F 1970-78. XL250R 1986/87, XR250 1991-96, XL250s 1979-81. CB750KZ, CB750F 1980-82, CB900F 1980-82. CB750KZ,  CB750F 1980-82, CB900F 1980-82. 51-2605...$29.00...FITS ; CB250/400T, CX500 Shadow. Z650B/C 1977-79, Z750B 1976-79, Z900 1973-76, Z1000A 1977. ZX10 1988-90, GPZ1100 1981-84, Z1100A/B 1981-85. KLR250 1985-04, GTR1000, GPZ1000RX, GPZ1000 1986-87. Z400B/H, Z440A/D, GPZ550 1980-83, Z1000 1977-79. 53 - 005 - 20...$28.00..fits ; Z400A/B/D 1974-79. GPZ550 1981/82, Z650 1977-83, Z750E 1980-82, Z900 1973-76. Z1000 A/B/C/E/G/J 1977-83, GPZ1100 1981/82, Z1100, 1981-85. 53 - 169 - 20...$32.00...fits ;  GPZ1100 1983/84. EX250 1986-04, GPX250 1986-00, GPZ250 1986-95. 53 - 207 - 20...$27.00,,,fits;  GPZ550 1982/83, KLR650 1987-07. 53 - 214 - 20...$28.00...fits;  KLR250 1985-04, KLR600 1985/86. GPZ550 1980/81, Z650B/C/F, Z750B, Z900 1973-76, Z1000A. GN400 1980-82, GS850G 1980-84, GSX1100 1980/81. 52 - 144 - 50...$25.00...fits;   PE175 1979-83. 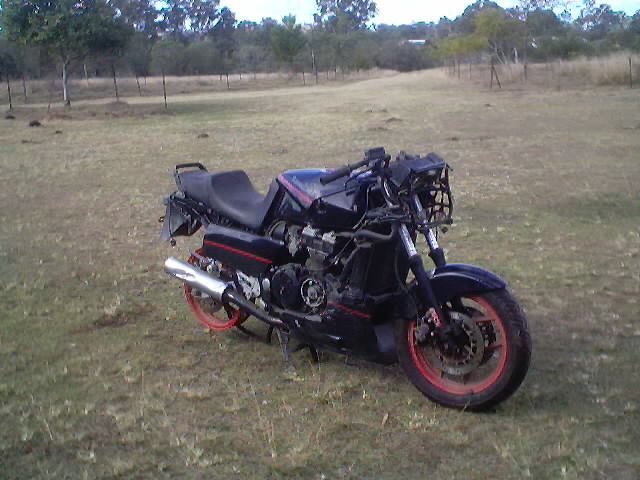 GSX600/750F 1989-97, GSXR750 1988-90, GSXR1100 1989/90. GS500E, GS550 1977-82, GS650 EX/EZ 1981/82. GS/GSX, 1977-84 models with a 570mm cable. GS/GSX, 1977-84 models with a 590mm cable. 52 - 344 - 20...$28.00...fits ; GS650G, GS650EX/ET. FZR1000 1987-90, XV1000 1984/85, XV1100 1988-98. FJ1100 1984/85, XS1100 1978-81, FJ1200 1986-90. FZR600 1989-99, TT600 1983-86, XJ650 1980-83, XJ650LJ 1982. SR500 1978-81, XT500 1976-81, XJ550 1981-83. XT550 1982/83, FZR600 1993-99, XT600 1984-89. XJ650 1980-83, XJ650LJ 1982/83, FZR600 1992. DT250 1974-79, DT400 1977/78, XT500 1976-81. 51 - 3Y1 - 30...$29.00...fits ; XT250 1980 on SOHC. IT200 1984-86, DT250 1977-79, IT250 1977/78, DT400 1977/78. YZ125 1981/82, IT250 1979-83, YZ250 1978/79. 51 - 39K - 20...$27.00...fits;  YZ80 1984/85, YZ1986-92. 51 - 3JD - 20T...$26.00...fits;  YZ125 1989-93, WR200 1992. 51 - 2H0 -10...$39.00 pair...fits;  XT500 1976-81. 51 - 23X - 10...$25.00...fits;  YZ250 1983-88, YZ490 1983.
but use the original Suzuki part number. All are priced at $23.00 AUS. each.